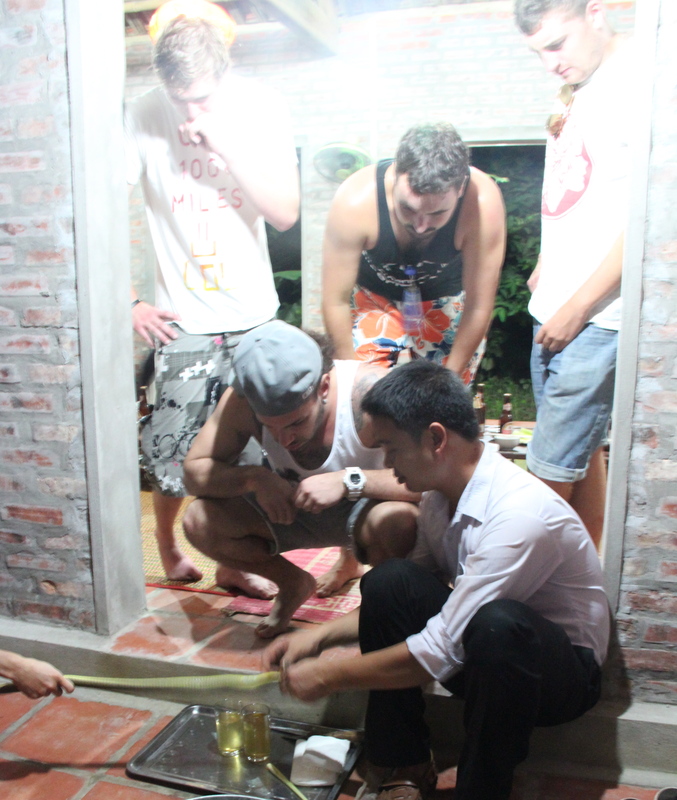 Upon our arrival in Hanoi, we’re immediately encouraged to sign up for the big event of the night hosted by our hostel: the Snake Village Tour. The sign-up sheet was complete with an ominous looking red on black logo of an undoubtedly poisonous snake. “Oh! It’s our snake village tour. You get to eat snake heart and drink snake blood! It’s really fun!” replies the broad gentleman in the cut-off shirt.